The charm of the unusual – Ico | "I Prefer Their Old Stuff"
I am not much of a gamer, restricted as I am to a smaller percentage of games that can be played effectively with just my right hand and left elbow, I have over the years learnt which sorts of games are suitable and do not result in me fumbling uselessly at the first end of level boss, getting killed way too easily and throwing the controller down in frustration of having wasted thirty-odd quid on a virtually unplayable (by me) game! I have learnt to accept this and happily have found a handful of games that I can play as well as any two armed player and have completed without too much undue hair tearing and controller flinging. Examples of these are the God of War trilogy, Heavy Rain, Fahrenheit, the SSX snowboard series, the early Tony Hawk games, and a new favourite, Portal 2. But out of all these the one that holds a special place in my heart is Ico, and as it is about to be released in a polished HD version for the PS3 packaged with its successor Shadow of the Colossus, I thought now was a good time to do a bit of eulogising. 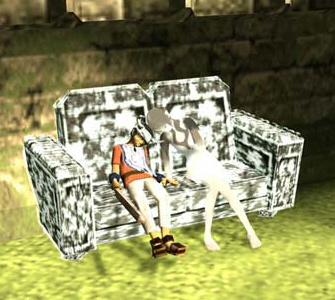 Ico is a third person, mainly puzzle oriented game, released in 2001 by Sony. As such it was exclusive to the playstation but for some reason did not really make much of a mainstream impact but garnered a strong cult following. I first encountered it at a friend’s house soon after getting hold of my PS2 and one handed controller, I was looking for games I was able to play and was introduced to Ico. At the time (this was around 2003) the game was not available to buy and the only copies around were selling for upwards of fifty pounds on ebay, it wasn’t until 2006 when Sony re-released it to coincide with the release of Shadow of the Colossus that you could get hold of it officially. After playing part of the opening sequence at my friend’s house I realised I was hooked and fortunately he kindly lent me the game, and I could not stop playing for weeks until I finally completed it. The main protagonist in the game is a young boy who was born with horns, according to his village custom he is taken to a vast crumbling castle and is sealed in to presumably die. Fortunately the casket you are sealed into is loose and a shaking of the ground as your captors leave unseats the casket, bringing it crashing to the floor and spitting you out onto the cobbles. Waking up you find yourself in a vast chamber, the wall lined with caskets similar to the one that imprisoned you. As you explore you see a cage strung from the ceiling and on further examination (when you have worked out how to get up there) see that it contains a girl, Yorda, the first challenge of the game then is how to rescue her. Once this is achieved she is your companion for the remainder of the game, you must guide her through increasingly head-scratching puzzles as you try to escape from the seemingly city-sized fortress. You must also, on occasion, protect her from shadowy demon creatures that emerge from the ground, if you let them take her into the ground the game is over. In fact this need for protection adds an extra dimension to the game, she is pretty weak and is unable to perform some of the physical feats you can meaning you sometimes have to leave her to go and find a way that she can manage, but beware, leaving her alone for too long summons the shadow demons! This is the only element of combat in the game (aside from the end of the game) and it is pretty infrequent, which suited me, as a gamer I am much happier wandering around thinking how to get some place or other than frantically fighting off baddies. That’s not to say these infrequent attacks are easy to defend, more than once I was knocked off a high precipice by one of the little buggers just as I thought I was winning! My love of the game does not just come from the gameplay, sometimes the slowness and incapabilities of Yorda had me shouting at the screen! 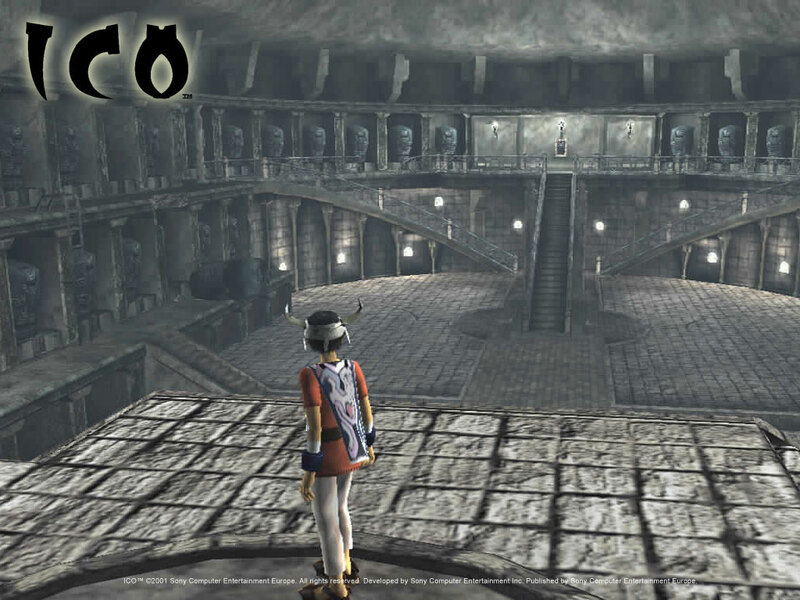 It comes from the atmosphere, the designers of the game circumvented the graphical restrictions of the PS2 by giving the scenery an artistic, almost painted feeling. They have truly stuck to the less is more approach, there is very little music in the game (with a game such as this where you may spend hours in one place, a repetitive soundtrack would soon have me reaching for the switch off button) instead you are surrounded by the natural sounds of birdsong and wind when in exterior levels, and the crackling of torches on the wall in interior sections, more than once I felt happy just to sit, listen and think instead of running around pushing or pulling this and that as you sometimes do in other puzzle games. Sitting, that’s another charming thing, save points in the game are represented by sofas that are found here and there, you sit down, beckon to Yorda by patting the seat next to you and once she has sat down the option to save appears, when returning to a saved game the pair of you are asleep, moving the stick rouses you to carry on your adventure, love it! There is also very little dialogue, and when there is, other than a handful of times it is in an ‘alien’ language, but dialogue is not needed, the game is so well designed that after some basic control cues at the start of the game it is quickly obvious what is required of you in all situations. I have played it through to completion three or four times now and unlike most puzzle games, even though I now know how to solve the problems (although some still take a while to remember, the scale of some of them being what they are) the game is still an enchanting delight. 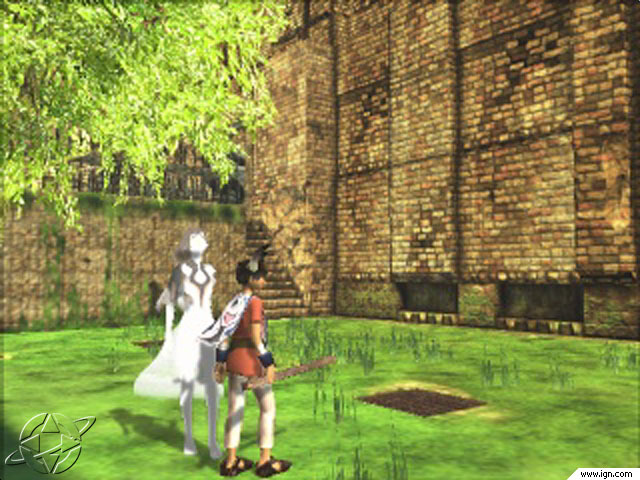 Shadow of the Colossus came along in 2006 and was seen as almost a sequel to Ico, although the story bore no similarities, the look of the game was very similar having been designed by the same team. In SotC you rode around a vast environment on a horse seeking out gigantic beasts (the eponymous colossi) which you had to slay by physical climbing onto them and finding the sweet spot that would kill them to save a sleeping girl. I could not really get on with this game, mainly I think through one-handed controller issues and the feeling that each level was just one massive boss fight, I therefore traded in my copy for some other game. However as this is being released as a double pack with Ico, both having been given the HD treatment I just might give it another go as, although I have my own copy of Ico now it would be nice to see what tweaks they have given to an already beautiful game. This entry was posted on June 29, 2011, 2:00 pm and is filed under Game Reviews. You can follow any responses to this entry through RSS 2.0. You can leave a response, or trackback from your own site.